Posted December 21, 2017, in Featured News, News. “Housing Policy and Its Impact on Urban Areas,” a Fall 2017 course offered by Dr. Natasha Fletcher, Associate Director of the Center for Urban Research and Education (CURE), tasked its students with providing recommendations to the Southern New Jersey Continuum of Care (SNJCoC) to increase the effectiveness of its point in time (PIT) count process in Atlantic, Camden, Cumberland, and Gloucester counties. Bill Barkasy, Kaya Durkee, Tooba Hussain, and Jeff Yocum were among the group members who offered policy solutions for homeless shelters in Camden. This cross-listed urban studies course, which enrolled undergraduates as well as graduate public policy and administration and public affairs students, focused on housing policy in the United States. After studying the historical overview of federal housing policy in the United States, as well as policy solutions, interventions, and outcomes, students connected with two local nonprofit organizations: the Permanent Affordable Supportive Housing Committee/Southern NJ Continuum of Care (PASH) and the Parkside Business and Community in Partnership (PBCIP), learning about their operations, challenges, and goals. After a thorough study, students’ final projects were to submit recommendations to these agencies about locations and types of housing to develop and/or access in order to end homelessness in the region. Students put their study in the classroom into real-world practice, a model of experiential learning. One group, consisting of Bill Barkasy, Dani Lopez, Jeff Yocum, Kaya Durkee, Tony Ceballos, and Tooba Hussain, reported on “Potential Refinements to Existing Methods of Homelessness Research,” ultimately making recommendations to three homeless shelters in Camden about increased training for the staff, more convenient hours of operation for the shelters that do not operate 24 hours a day, additional resources for finding employment, and storage for belongings. 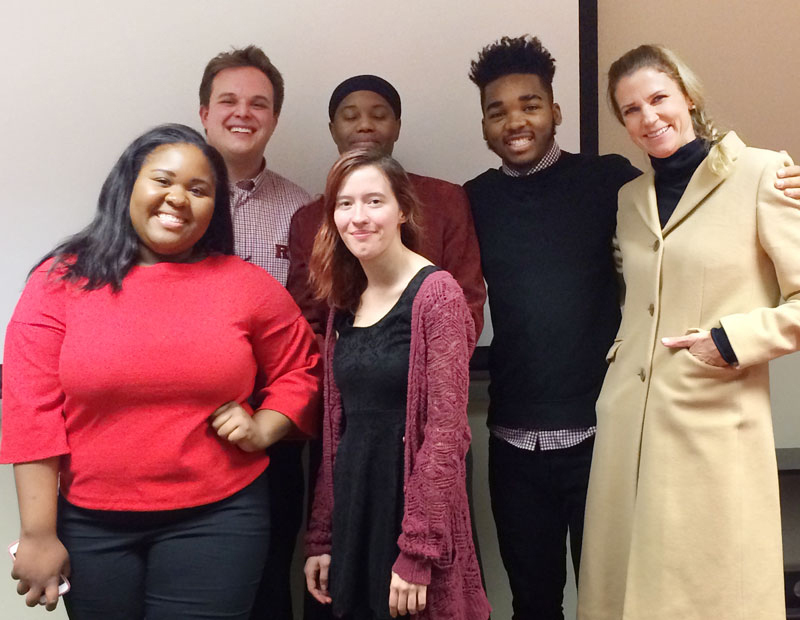 Nia Phillips, Justin Riggs, Anetha Perry, Sarah Filippi-Field, and Aaron Smith, together with Dr. Natasha Fletcher, worked with the Parkside Business and Community Partnership Tenant-Coalition Coalition. Partnership (PBCIP) Tenant-Landlord Coalition.” This group worked extensively with the PBCIP to design a list of goals for which the Tenant-Landlord Coalition should strive, including hiring a project management company to improve property maintenance and creating a library of resources for both tenants and landlords. Their final recommendation was for the PBCIP to implement the RENT SMART framework, a program that originated at the University of Wisconsin. RENT SMART provides education for both tenants and landlords, and training is set up in six modules, which the students explain in the course of their report. This page was printed from http://fas.camden.rutgers.edu/2017/12/21/students-in-housing-policy-class-offer-policy-solutions-to-shelters-and-tenant-landlord-coalitions/ at 5:29 PM Saturday, April 20, 2019.